What a nice email I got earlier this week. It was from Alma, a woman from Sweden who has a nice blog at http://almafication.wordpress.com. She was nice enough to nominate me for the Very Inspirational Blog Award. Thank you Alma! It warms my heart knowing that I was inspirational to you. You do lovely work. 4. 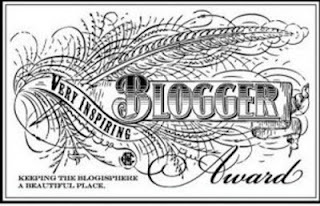 Nominate up to 15 bloggers for the award and link to their blogs. 5. Notify them that they have been nominated and link to the post. 1. 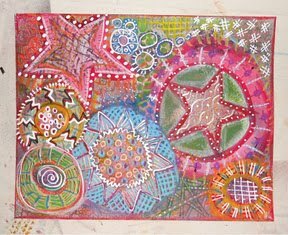 I love teaching Zentangle. 2. I enjoy laughing with my friends. 3. I love spending time outdoors in nature. 4. I need to create. 5. My family and friends are very important to me. 6. I'm finding that meditation is something I need to experience more. This felt a little 'chain-y' but I read it anyway and I'm glad I did, because I clicked woolnimals. OMG. Forget Christmas shopping. I'm just going to surf crafty blogs and Pinterest!